Seal of David Komnenos, cofounder of the Empire of Trebizond, Dumbarton Oaks Byzantine Collection, BZS.1951.31.5.1706. Explore this seal and the 17,000 others in our collection—more information at the end of the article. Panaretos’s chronicle reveals closeup details of Trebizond’s political and military history; he has provided an invaluable account—often the only one available to us—of events from the founding of the city up to his own day. He records enemy attacks, sea battles, plagues, and above all the military movements and dynastic alliances of the city’s rulers with neighboring allies and rivals: a true court record, as Kennedy suggests, of the emperors’ connections and conflicts with both subjects and nearby peoples like the Turks and Georgians. Trebizond’s greatness did not lie in its gardens, its church “shimmering with beautiful paintings,” its royal palace (described in detail by Bessarion, in our only surviving medieval account of its appearance), or its formidable city walls “pierced by all sorts of gates and posterns” and insufficient to contain the sprawling residential neighborhoods of a thriving population. Instead, both Bessarion and Panaretos identify greatness as the result of cosmopolitan connections with the wider medieval world, of forging political alliances and importing all the best in culture, learning, and exotic luxury goods. These views of a great medieval urban center challenge modern stereotypes about the past and illuminate how an otherwise enigmatic imperial power envisioned itself on the world stage. Buy Two Works on Trebizond and browse other DOML volumes at domedieval.org. 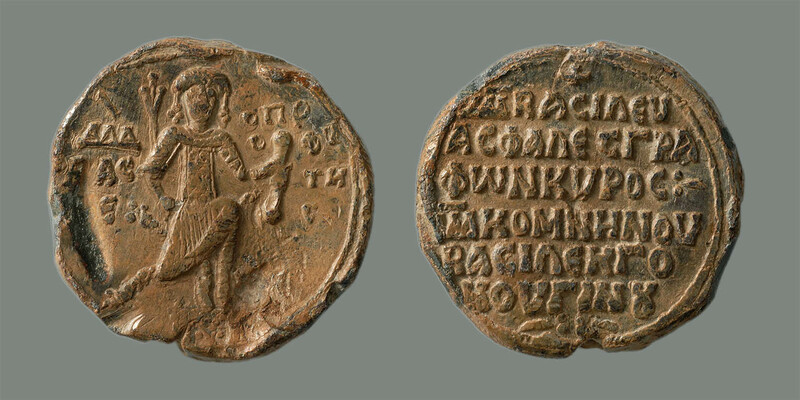 Explore the pictured seal of Trebizond’s cofounder and thousands of others in our Online Catalogue of Byzantine Seals.